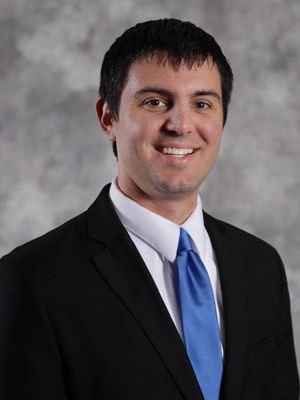 Michael is a Manager in Scheffel Boyle’s Highland office and first joined the firm in 2010. He has been working in public accounting since 2007 and specializes in audit and tax services for the agricultural and construction industries. As the leader of the Agribusiness Niche at Scheffel Boyle, Michael is responsible for implementing training and professional development practices for his team, as well as serving our Agribusiness clients with a strong foundation of industry knowledge and business acumen. Michael is originally from New Douglas, Illinois and now lives in Maryville with his wife, Melissa, and two children. He enjoys being active in the local community and is an avid volunteer and supporter for the Highland Optimist club, as well as local Chambers of Commerce. Michael is also a regular attendee at Scheffel Boyle’s recruiting and community service events. Due to his involvement with both the Agribusiness and Construction Niches, Michael is also an active member of multiple industry-focused professional associations, including the St. Louis Agribusiness Club, Southern Illinois Builders Association (SIBA), and the Grain & Feed Association of Illinois (GFAI). He has also been a contributor to various agribusiness industry articles and seminars, including speaking engagements for local farming associations and cooperatives. Michael grew up on a sizeable grain farm in Illinois and is passionate about serving the Agribusiness industry. His family still owns and operates the farm today.